SNES Action Pachio (JPN) in 18:41.94 by WarHippy. 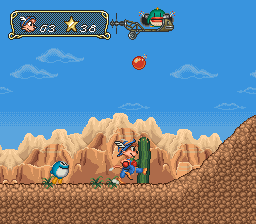 If Sonic the Hedgehog had a love affair with a golf ball, then the result would be Action Pachio. Giant evil robots have kidnapped Pachio's family and friends and now he must roll and jump his way through six different worlds in the solar system to save them all and defeat the ne'er-do-wells. This is an improvement of 24.22 seconds over the previous movie, thanks to better overall optimisation. SNES Adventures of Yogi Bear (USA) in 22:41.59 by Meerkov. 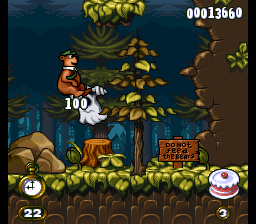 Adventures of Yogi Bear is a multi-platform game released by Cybersoft on October 1, 1994, in North America and later in Japan and Europe. 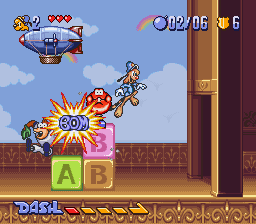 It is a platform game in which the player controls Yogi Bear and must progress through five levels representing Yogi's home, Jellystone Park. Jellystone Park must not be turned into a chemical dumping zone; only Yogi can prevent that from happening. 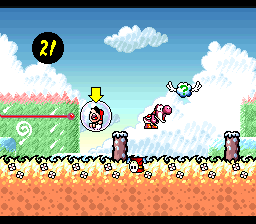 You must navigate through various climate zones (including tundra, swamps, and grasslands) in order to retrieve the picnic baskets. You can also ride on mine carts and participate in surfing while using a beaver for a makeshift surfboard. 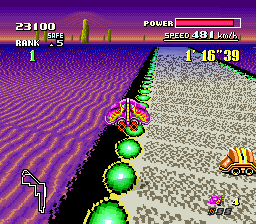 SNES Ardy Lightfoot (USA) in 19:56.93 by Ferret Warlord. A small quick-footed anthropomorphic mammal and his best pal race to the right to recover all of the special gems and save the world from a boss with a mysteriously foreign sounding name. Sonic the Hedgehog? No, Ardy Lightfoot. Abusing the game's awkward hit detection and pulling off normally suicidal strategies that require frame perfect precision, the author blitzes through this cinematic and visually appealing game. SNES Bonkers (USA) in 14:17.68 by partyboy1a. 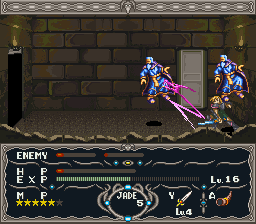 SNES Brandish (JPN) in 11:12.19 by Osse101. 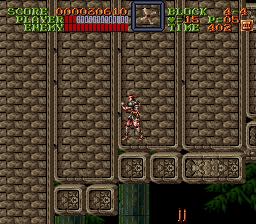 You control Varik (Ares in the Japanese version, which this TAS is on), who fell down into the ruins when Alexis chased him down and accidentally blew a hole in the ground. Now it's up to you to get Varik (Ares) back out, with no shortage of monsters along the way. You're not alone - There are many others who have also fallen, and are willing to sell items that may help you. Osse101 improves the previous TAS by 27 minutes and 30.22 seconds, thanks to various glitches that are only possible on the Japanese version. Please read the submission comments for more details. SNES Bubsy in Claws Encounters of the Furred Kind (USA) in 13:47.57 by Acmlm. 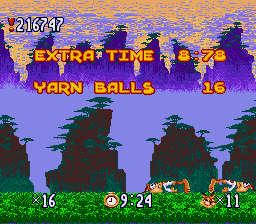 Bubsy is on a hunt to get back his yarn, which the Woolies stole. 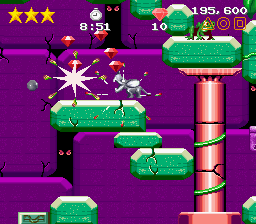 Bubsy can run very fast, but unfortunately he almost never gets a chance to, because there are obstacles everywhere. Unlike most bobcats, Bubsy can die by touching anything remotely dangerous, like eggs or water. Also unlike regular bobcats, he can glide through the air, has a t-shirt with an exclamation mark, and a smile you'll just be dying to wipe off his face. 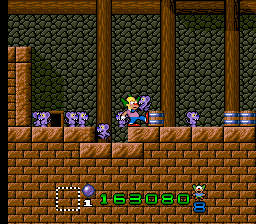 SNES Cacoma Knight in Bizyland (JPN) in 05:32.6 by Meerkov. The kingdom of Bizyland is in trouble when the evil ruler of the neighboring land, Lasyland, uses a magic mirror to swap kingdoms and kidnap the princess. It's up to the king's chosen warriors to reverse the spell cast by the mirror and save the princess. 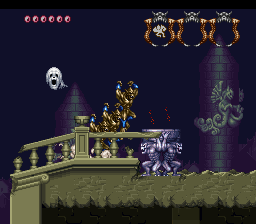 Cacoma Knight in Bizyland is a Super NES video game created by Datam Polystar. It is a hybrid of action and puzzle elements. 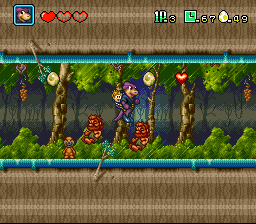 Each level is a single screen. The first image that the player sees is a landscape, for example, a forest or a town. The image will then fade into a "corrupt" version of the landscape, for example, the trees become rotten and buildings become ruined. 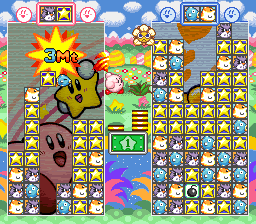 Each screen has a "Qualify" target that shows how much of the screen must be cleared before the game continues to the next level. 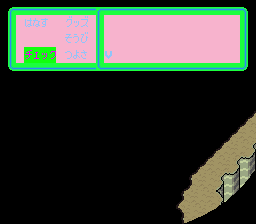 The player can then use the Magical Chalk to section off an area of the landscape, using either the borders of existing cleared sections or the borders of the screen. When a full shape is completed with no holes in its borders, the smaller of the two sections created is "purified" and returned to the original state shown at the beginning of the level. In this run, Meerkov beats the predecessor movie made by WarHippy by 2:20.23 minutes. Lots of time is saved from cutscenes, load time, and lag. 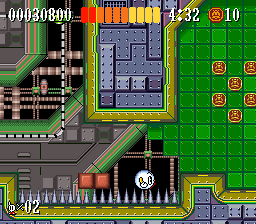 Also, nearly every level is improved thanks to a number of tactical changes. Finally, thee levels are skipped in the Japanese version of the game that is used here, while the obsoleted run used the USA version. SNES Classic Kong Complete (unknown) in 01:54.71 by TheRealThingy & BrunoVisnadi. 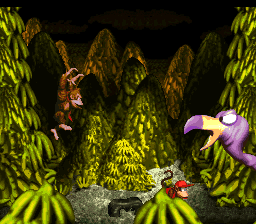 Classic Kong Complete is a homebrew remake of Donkey Kong with updated graphics and sound. 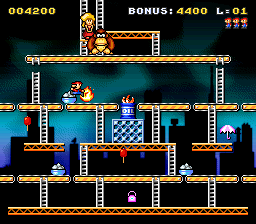 Unlike the NES port, Classic Kong includes all four levels from the original arcade game. TheRealThingy and BrunoVisnadi improve the previous run by 2.20 seconds, mostly thanks to a shortcut at 75m. SNES Claymates (USA) in 15:21.92 by quietkane. In Claymates, Clayton's father has developed a formula that can manipulate clay into animals. After he refuses to give the formula to a witch doctor, the witch takes off with the formula and Clayton's father and turns Clayton into a lump of clay. Despite his sorry condition, Clayton vows to save his father and embarks on a journey to defeat the witch. 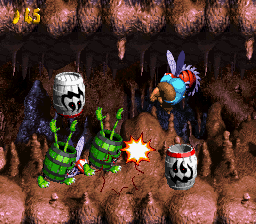 Most of the gameplay consists of bouncing around the stages and transforming into different animals using bits of formula scattered throughout the level. Special abilities are also available that can change Clayton into animals that can take out enemies easier. 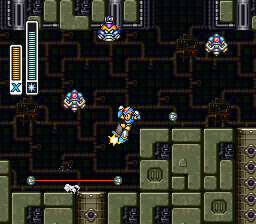 Between stages, there is a mini-game where robots can be used to clear obstacles. 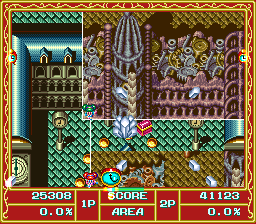 In this run, quietkane uses strategies such as taking damage and limiting the number of gems collected to save time on the end-level gem tally screen in order to finish this game as fast as possible. 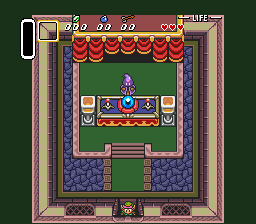 SNES Clock Tower (JPN) in 01:53.46 by ruadath. 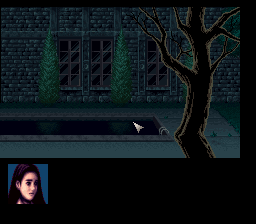 Clock Tower is a survival horror point-and-click game in which Jennifer Simpson attempts to uncover the secrets of the Barrows mansion where she and her fellow orphans have been trapped. Jennifer must avoid traps, monsters, and a scissor-wielding psychopath as she explores the strange mansion. But in this movie, Jennifer decides to leave her friends and escape alone by busting through the mansion's walls in a car. This 3.02 second improvement to the previous movie uses a menu glitch to reduce screen scroll lag. Skipping the Anne pool cutscene and escaping in the car also glitches the ending sequence, causing the credits to display instead of the Ending H cutscene. We also have a run that gets the best ending. SNES Clue (USA) in 00:26.5 by Deign. 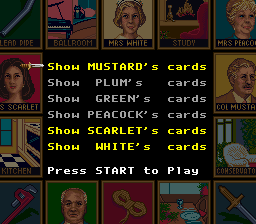 The game of Clue has been attempted many times here at TASVideos. After years of research and planning, it's finally been honed down to a tidy 26.50 seconds. Whodunit? You'll have to watch to find out. 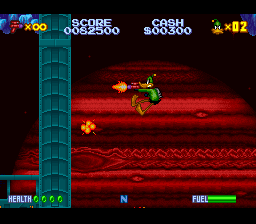 SNES Contra III: The Alien Wars (USA) "game end glitch" in 03:20.38 by cpadolf. 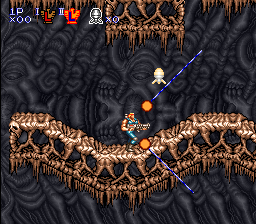 One of the best (and best known) shooters of the 16-bit era, Contra III: The Alien Wars forgoes any semblance of plot devices in favor of good old fashioned shooting and platforming with some tough as nails bosses, especially in this, the hardest mode. Apparently not happy with an already amazing movie, Cpadolf felt the need to go on yet another black op, optimizing his distortions of space and time on the way to a 173 frame improvement. This movie uses a 'warping' glitch to complete the game. 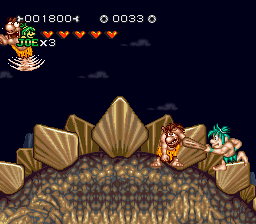 There is also the 2-player version, which does not. SNES Cyborg 009 (JPN) in 16:06.92 by FractalFusion. Cyborg 009 is based on the manga and anime of the same name, which began a long time ago. There are eight characters that you can use, but one of them is set and you can only choose two others for each mission. 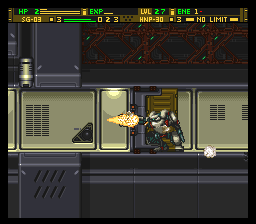 The run uses 008 (Pyunma) and 005 (Geronimo) most of the time. 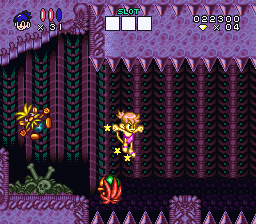 008 can jump forward quickly and swim in water, while 005 does heavy damage to bosses. 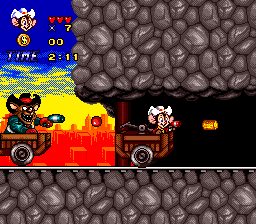 Various power-ups are collected to level-up 009 (Joe) due to an event near the end of the game. 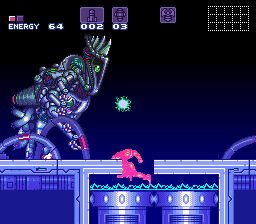 The run uses the easiest difficulty due to the final boss taking less time to beat. If you play this game, it is recommended to level-up 009 first, and a lot. SNES Demon's Crest (JPN) in 10:31.88 by McBobX. 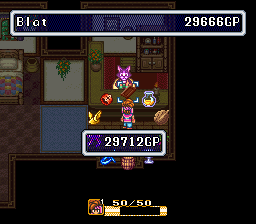 This run completes the game as fast as possible with minimal item collection. For those who want to see all items and levels completed, we also have a 100% run of the game. 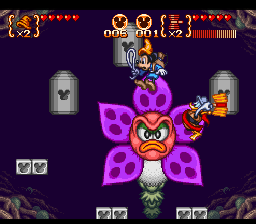 SNES Disney's Magical Quest 3 Starring Mickey & Donald (JPN) "2 players" in 24:30.49 by grassini. Huey, Dewey, and Louie Duck enter a magical book and get captured by King Pete. Now Mickey Mouse and their uncle Donald Duck have to save them. The heroes gain access to different outfits, as in previous games in the series, but the effect of each outfit is different between the two characters. 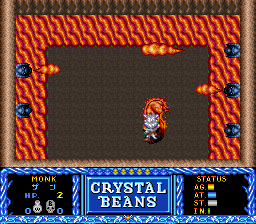 The SNES version of this game was released only in Japan; a GBA port later saw a more widespread release. 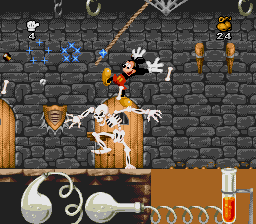 grassini controls both Mickey and Donald in this run but sometimes sacrifices one or the other for speed. 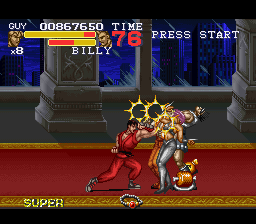 The characters switch among the outfits often in order to optimize movement and defeat enemies quickly. Note: The emulator used to create this run has some errors during screen transitions, such as the Capcom logo at the beginning. 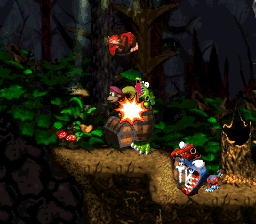 SNES Donkey Kong Country (USA) in 07:50.08 by Tompa. A movie aiming for fastest possible completion of Donkey Kong Country without bothering to enter all the bonus rooms. This run is 19.58 seconds faster than the previous submission, due to new strategies, better optimization, and the discovery of a new glitch that allows Diddy to fly through levels. If you desire more rolling primates, we recommend watching the 101% completion movie by the same author. SNES Donkey Kong Country 2: Diddy's Kong Quest (USA v1.1) in 37:29.39 by hidaigai, Comicalflop, Dooty & Umihoshi. This is an improvement of 1:33.58 over the previous movie. 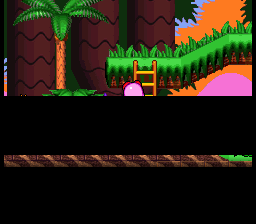 As usual, longer loading times in a more accurate emulator take away some of the gross improvement time. If only comparing the length of the levels, the total improvement would be 1:39.21. See the author's notes for a more detailed breakdown. 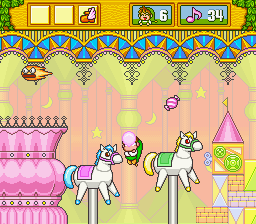 SNES DoReMi Fantasy: Milon no DokiDoki Daibouken (JPN) in 59:48.19 by kaizoman666. 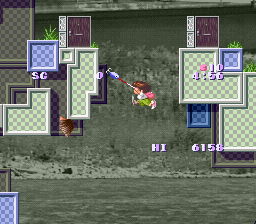 DoReMi Fantasy is ostensibly the Japan-only sequel to Milon's Secret Castle, though in practice it turns out to be a very different game, just a plain platformer with no big puzzle elements. Milon has set out to travel through seven different worlds to bring music back to the world (courtesy of his hometown's forest) and rescue his friend from the clutches of an evil wizard (who, conveniently, is also responsible for causing the music to disappear). This run is faster than its predecessor by 1:26.40. SNES Dragon's Lair (USA) in 09:17.65 by tall. 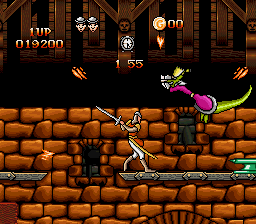 In Dragon's Lair, you take control of Dirk the Daring in his quest to save Princess Daphne from Singe the dragon. After the release of the 1983 arcade game of the same name, which played like an interactive movie, this game was released on many different platforms with radically different game play. We also have a run of the NES port here. In this run, the author, tall, awkwardly jumps into action and completes the game in a little more than 9 minutes. He performs many tricks to do this, a notable one being damage boosting which allows him to skip large sections of a few levels. For more information, please see the author's notes. 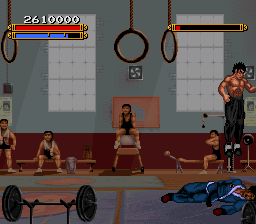 SNES Dragon: The Bruce Lee Story (USA) in 07:58.93 by Cooljay & N?K. SNES Dragon View (USA) "game end glitch" in 51:31.04 by Khaz. 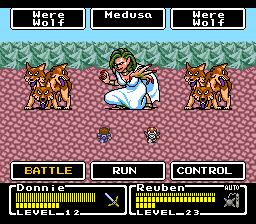 Dragon View is a side-scrolling role-playing video game released for the Super Nintendo Entertainment System in November 1994. 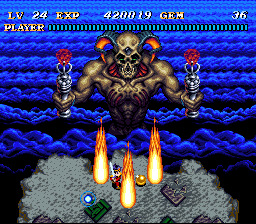 Released in Japan as Super Drakkhen and otherwise known as Drakkhen II, it is meant to be a prequel to Drakkhen although it bears little resemblance to its predecessor. 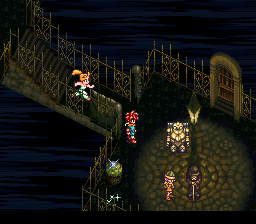 It uses the same pseudo-3D overworld system for which the series is most famous. Other features of Dragon View are its side-view action role-playing game (RPG) hybrid gameplay (used when exploring more detailed areas such as towns and dungeons), its well-translated first person storyline, and its emphasis on player-driven undirected exploration. 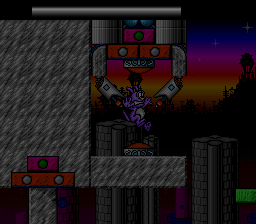 In this run, Khaz makes the game realize how boring it really is, and has it jump straight to the credits roughly halfway through the intended story. A side effect of this particular glitch is the cutscene after the credits getting glitched out and having the main character walk in place, forever. More information on how this was achieved can be found in the submission notes. SNES EarthBound (JPN) "save glitch" in 04:04.35 by pirohiko. EarthBound, also known as Mother 2, is a great RPG, designed by Shigesato Itoi in 1994-1995. It is best described as "random", but in a good way. 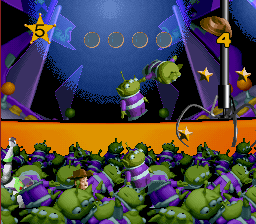 The game has a great emphasis on humor; indeed, many things in the game are almost caricatured, from subplots to characters. It also has a versatile soundtrack. 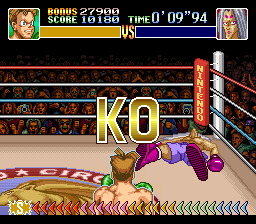 Pirohiko improved the previous TAS by almost 5 minutes by resetting at precisely the right time to corrupt the SRAM and skip most of the game, including the credits. The second YouTube encode includes a scrolling input display. SNES Eek! The Cat (USA) in 16:39.67 by Flip & WarHippy. Eek! The Cat is a game based on the old cartoon series of the same name. 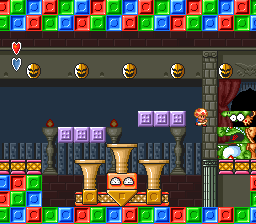 Your goal is to kick and shove an NPC to the exit of each level while avoiding enemies and obstacles, and all to the tune of some sweet music. This game was originally planned to be released as Sleepwalker, this is why it's so dark (it happens at night) and has this specific gameplay of pushing the sleepwalking people to where they belong. This is an improvement of 434 frames over the previous movie by WarHippy. SNES Final Fantasy IV (JPN,r1) "warp glitch" in 1:42:03.72 by pirohiko. 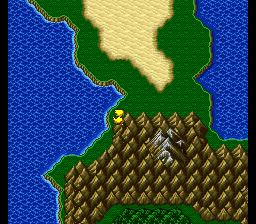 Final Fantasy IV, renamed to Final Fantasy II in North America, was a role-playing game that revolutionized the genre. 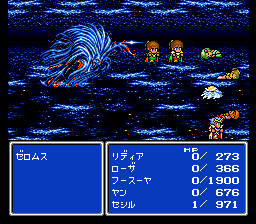 It was the first Final Fantasy title to introduce the Active Time Battle system and one of the first RPGs to feature a complex, involving plot. In this TAS, pirohiko blazes through the game in under two hours using a host of tricks, glitches, and battle strategies. We recommend reading the author's comments for more information on the route used. SNES Final Fight 3 (USA) in 17:05.82 by Sotel6. The Skull Cross Gang is wreaking havoc in Metro City, and it's up to Guy to restore order. This is an improvement of 1:12.82 over the previous TAS by Diman, largely due to better use of combos and manipulation of enemies. SNES Gekisou Sentai Car Ranger (JPN) in 06:56.9 by FractalFusion. Gekisou Sentai Car Ranger is a Power Rangers game released only in Japan. 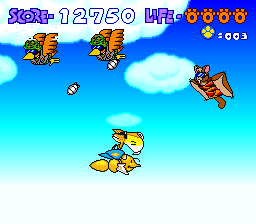 It uses the Sufami Turbo loader add-on for the SNES, making it even more obscure. The game itself is rather short for a platformer. 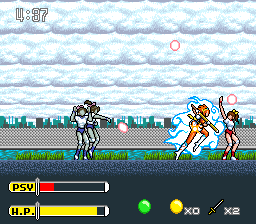 Only the yellow and red rangers are used due to their unique character advantages which allow them to complete the game faster than the other rangers. Not only does this run get the worst ending, the game even explicitly says so after a scene where the Earth explodes. SNES Hagane: The Final Conflict (USA) in 13:12.84 by Sniq. Hagane: The Final Conflict is a 1994 action-platform video game developed by CAProduction and published by Red Entertainment and Hudson for the Super Nintendo Entertainment System. 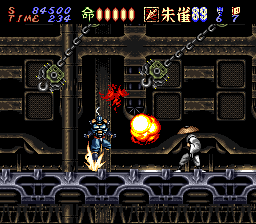 The player takes on the role of a ninja cyborg named Hagane on his path to take revenge on an opposing ninja faction. The game combines traditional Japanese ninja and samurai aesthetics with a futuristic setting. 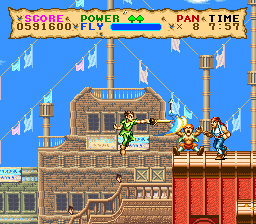 The player has a wide variety of weapons, moves, and attacks at their disposal to defeat enemies and progress through the game. In this run, Sniq beats the previous movie from Tiger- and Heisanevilgenius by 57.02 seconds. Record time was achieved through better general optimization, new boss fighting techniques, and some minor tricks. SNES Hook (USA) in 14:27.98 by zidanax. 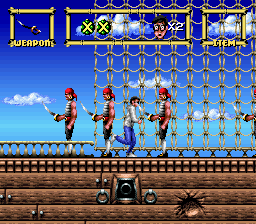 Hook, based on a movie of the same name, is a somewhat slow platformer game about small boys in tights killing pirates. Awesome! The movie has just enough action to make it entertaining. 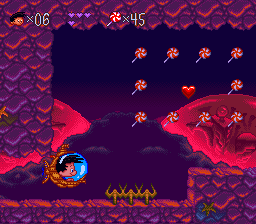 Thankfully, there are many parts in the game where the player is forced to fly using fairy dust. 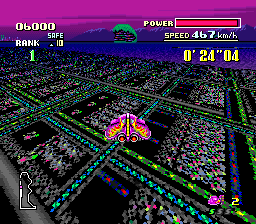 The flying breaks up the normal pace of the game nicely. This is a 45 second improvement over the previous movie. The author left detailed comments on the various improvements. SNES James Bond Jr. (USA) in 18:42.83 by laranja. 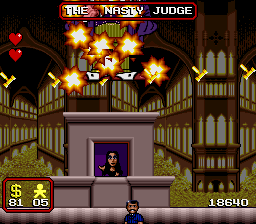 James Bond Jr. is the SNES adaptation of the TV show of the same name. The world’s greatest scientists have mysteriously disappeared! Intelligence reports indicate that James Bond Junior's old enemy, SCUM Lord, has imprisoned them on his island fortress in the Caribbean. Without hesitation, Junior heads out on four dangerous missions to save the scientists and thwart SCUM Lord’s plans! The author, laranja, completes this game in 18:42.83. For more information, see his notes. We also have a run of the NES version. SNES Kaizo Mario World 3 in 17:11.23 by ISM & Mister. 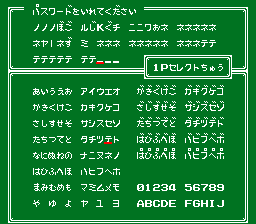 Kaizo Mario (友人マリオ Yūjin Mario) is a Nicovideo phenomenon born from a person's desire to make his friend play his super-hard Mario hack and post the results on Nicovideo. By chance, this hack made its fame on Youtube when a team of Let's Play gamers obtained the hack and recorded a video of them playing it. The most well-known YouTube video in this series is the first part of ProtonJonSA's attempt of Special Stage 2 and his subsequent nervous breakdown. Kaizo Mario World 3 (友人マリオ3 Yūjin Mario 3) is the third installment of the Kaizo Mario series. In addition to the video's popularity, the hack is well-done in comparison to the previous two. Extremely rigid windows of opportunity, with missed opportunities resulting in death. 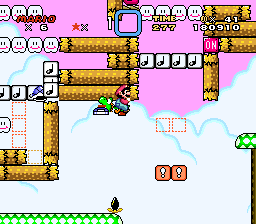 Set-ups that demand the highest caliber of Super Mario World physics abuse. Set-ups that require stunts that are tantamount to glitches. Traps that cannot be foreseen without knowing that they exist, including but not limited to invisible blocks and being killed after apparently clearing a level. 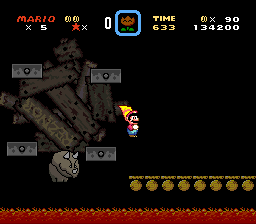 In this run, ISM and Mister break the game completely with glitches, just as in the 96-exit TAS of Super Mario World. 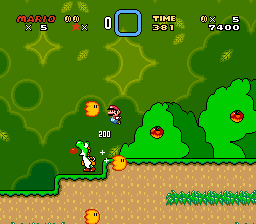 Said glitches involve making things appear out of nowhere, glitching through walls, and carrying Yoshi through to the next level, something not intended by the maker of this hack. 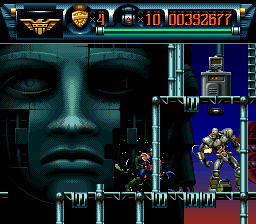 SNES Killer Instinct (USA v1.0) in 09:59.18 by Dark Fulgore. 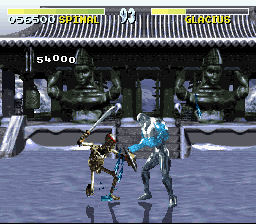 Killer Instinct is a classic fighting game ported to the SNES from an arcade machine. 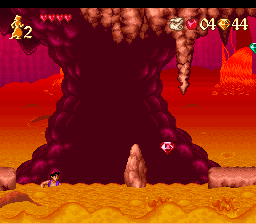 It features an advanced combo system, rich pre-rendered graphics and nicely arranged music. However, the latter two were somewhat toned down in this version compared to the original. In this movie, Spinal takes down his enemies by slicing them up, hitting them with their own abilities, and (gasp!) making them dance to music! SNES Kirby's Star Stacker (JPN) in 05:06.65 by Ryuto. This Japan-only remake of Kirby Star Stacker for the Game Boy contains a story mode, which is blazed through here in record time. SNES Lethal Enforcers (USA) in 37:28.67 by Phil. 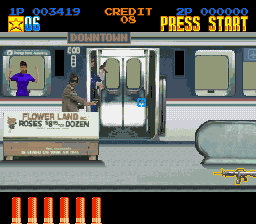 Lethal Enforcers is a rail shooter with graphics made from digitized photographs. This controversial use of photorealistic enemies helped earn this title one of the first MA-17 ratings for video games and kept it off some toy store shelves. You control Don Marshall, a Chicago cop who is called in to help stop a major crime organization that has invaded the city. Armed with his standard-issue service revolver, he sets out to stop this growing crime wave and save the day. 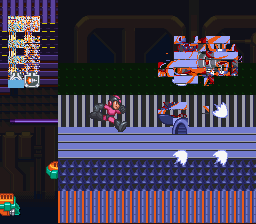 The bad guys pop out at a fixed rate, so shooting them faster only speeds up the boss fights. SNES Mega Man & Bass (JPN) "Mega Man" in 27:21.47 by sparky. 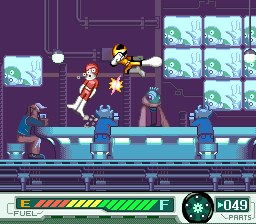 This game bears a striking resemblance to Mega Man 8, not only in style, but in excessive graphic detail. 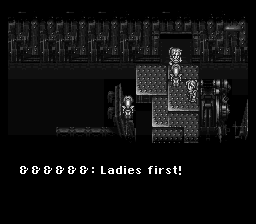 Similarly to Mega Man X4, the player has the option to choose one of two characters to play through. In this run, Rockman is chosen. This run is 41.64 seconds faster than the previous run, demonstrating that this game is even glitchier than it originally appeared. 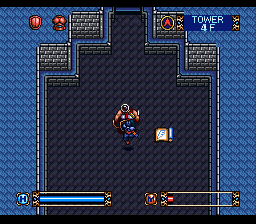 There are two more Rockman & Forte runs to watch on this site; featuring completion of the game with Forte as fast as possible and collection of all CDs with Rockman. SNES Mega Man 7 (USA) in 37:22.25 by sparky. 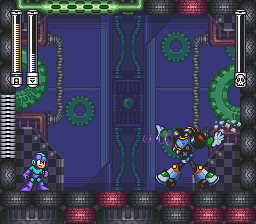 Once again, it's up to Mega Man to destroy Dr. Wily's latest army of Robot Masters, only this time on the SNES. 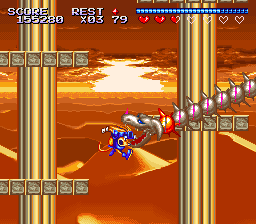 You would think poor old Wily would learn from his past six mistakes, however this isn't so. On the up-side, we get another superb TAS of this famous series. This is an improvement of approximately 30 seconds of in-game time thanks to some new glitches, including using the Rush Coil to wall climb and abusing Noise Crush to instantly kill some bosses. 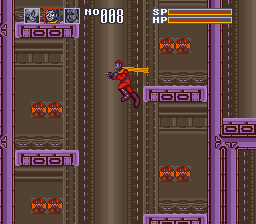 This version plays on the North American version of Mega Man 7 whereas the previous movie plays on the Japanese version. This change affects times outside of the player's control but which still get counted towards the movie's length, making this movie appear longer than the previous movie. There is also a 100% TAS of this game. SNES Metroid Super ZeroMission (v2.00) in 20:43.28 by cpadolf. 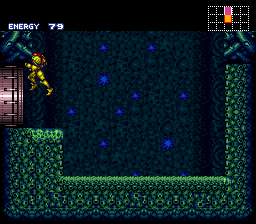 Metroid Super ZeroMission is a Super Metroid hack that is heavily based on the GBA game Metroid: Zero Mission, inspiring modifications of the game engine, graphics, and maps. In this run, the author, cpadolf, improves on Hoandjzj's canceled run by over 4 minutes by using a new route and many new tricks and glitches. For more details, as always, please read the author's notes. This run aims to reach the ending as fast as possible and so skips most of the items. If you're looking to watch a run that clears everything in the game, watch this run. SNES Pocky & Rocky (USA) in 18:40.17 by t0ast. 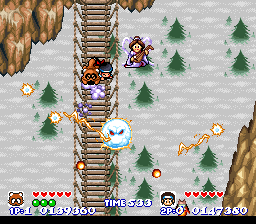 Released in 1993, Pocky & Rocky is a top-down shooter gem themed on Japanese folklore. 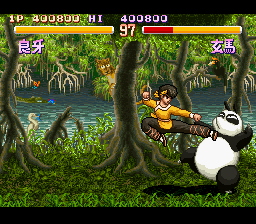 It features Pocky, a shrine maiden with no relation to the snack, and Rocky, the tanuki that Mario wishes he could be. As a sequel to KiKi KaiKai, the Nopino Goblins have gone insane again, this time under someone's spell. 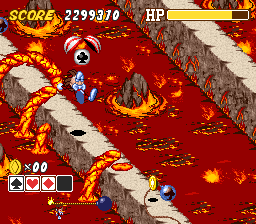 In this run, t0ast makes full use of the game's unique 2-player mode in which Pocky and Rocky can interact with each other by sliding and pushing, leading to some speed tricks. SNES Sparkster (USA) in 18:01.67 by Dooty. Another movie that is so fast you can hardly see what is going on. The main character can use his rocket dash to inflict a lot of damage on his opponents as well as bounce off walls and ceilings. Dooty's movie is about 15 seconds faster than Cpadolf's run. Like in the previous movies, the game is played on the hardest difficulty, which is crazy hard. 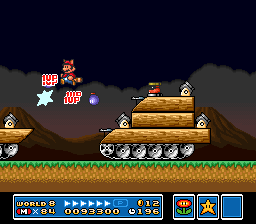 SNES Super Demo World: The Legend Continues (USA v1.1) "warps" in 16:52.9 by BrunoVisnadi & Amaraticando. This movie is 1:03.16 seconds faster than the previous movie. See authors' comments to see the new glitches. SNES The Firemen (JPN) in 15:25.14 by Cardboard & Vidar. In The Firemen the player controls the fireman, Pete. The Metrotech building is a high-rise chemical plant, which today is hosting a Christmas party, and a fire! Gameplay follows Pete and his sidekick Danny, but there are also three other members of the unit that show up in cutscenes. Their plan is to collect the dangerous explosive MDL from the basement, and use it to blow up the water tank on the roof! The game is set in New York, but it never got a US release. 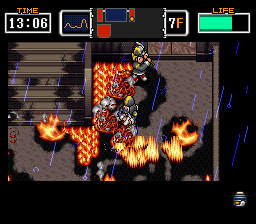 This run uses the invincibility after taking damage from small fires to get past larger fires. 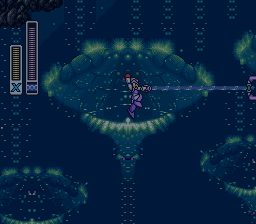 Water grenades can greatly speed boss fights, so the route takes detours to pick some up. Explosions from spraying certain windows is used, because it puts out nearby fires. 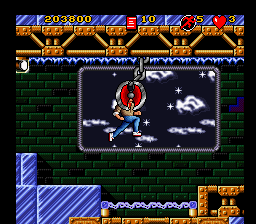 Boss-battles are finished near the door to save time when the game auto-leaves the level. 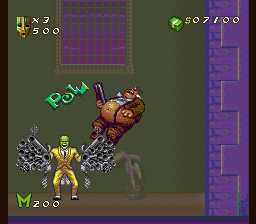 SNES The Mask (USA) in 05:26.55 by BrunoVisnadi. BrunoVisnadi improves the previous run by 18.62 seconds, thanks to new glitches and better optimisation. Read the author's comments for more information on the new glitches.